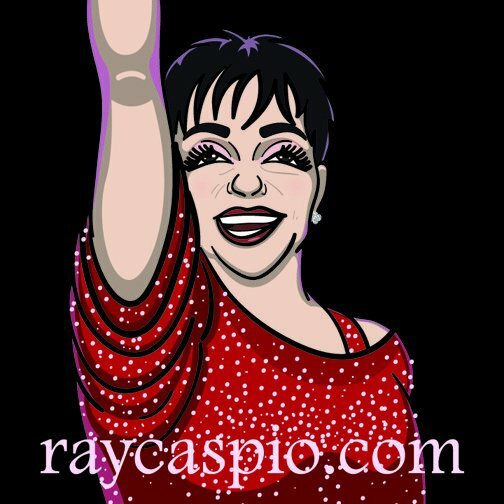 For Valentine's Day, I wanted to share a Liza Minnelli performance with you. It's no secret I'm a huge fan, having seen her live 11 times since June, 2002. If you're looking for a master class in performing, just buy a ticket to one of her shows. Here I'll Stay/Our Love is Here to Stay is one of my favorite songs and the song that played at my wedding, so it holds great meaning for me. It's a promise. It's a commitment. It's to one person or an entire audience, or making an entire audience feel like one person. This particular performance is a stand-out. It's clear her vocals aren't up to what they can usually do, but Liza is the master of working with whatever she has at the moment and giving it fully. And giving, she is. Every gesture in this song is an open one. Whether it's opening her heart, repeatedly, to the audience or painting the picture of her environment, she is sharing through her ultimate exclamation of "Here I'll stay," when she tears her heart open, stands emotionally naked, and sends her love out to the universe. The connection is made. She'll have them the entire show. It's not ever about a voice: it's about a heart. Fast forward to 5:05 to watch.